Mixing is not something you can learn to do quickly. It takes many years of practice and experience before you get really good at it, just like learning to be a great guitar player or singer. My belief is that if you are an artist, you should focus on your songwriting and your instrument and leave the mixing for the pros. However, if you are getting started as a recording/mixing engineer, or are an artist who wants to learn to mix their own music, you may be wondering how to mix a song properly, or what the overall process typically involves. The short answer is that there is no right or wrong way to do things in this business. It’s all about the sound and the end result. If it sounds good, it doesn’t matter how you got there. Ask different mixing professionals, and you’ll get different answers on what their mixing process is. Some like to start with the rhythm section, while others start with the vocals (or lead instrument), while others like to have everything on at once and start balancing all the tracks together. Others mix it up and use a variety of methods, depending on the song and the types of tracks they are giving. I’ll share my typical mixing process, along with some helpful tips as well as some pitfalls to try to avoid. Before I even agree to mix a song, I like the artist to send me whatever mixes they might already have for the song. I do this for a few reasons. First, I want to make sure it’s a song that I will enjoy mixing and that I think I can do a good job with. Second, I want to get a feel for the quality of the recording and whether or not it’s even ready for mixing. Third, I want to get a feel for the way they hear the mix, as well as to familiarize myself with the song. Once I decide to take on a mixing project, and the artist has sent me their project files, I will import those into my DAW and just listen through a few times with all the tracks playing. As I’m listening I’ll be making a really quick rough mix of my own simply with the faders (no processing or effects of any kind yet). My goal here is to figure out the mood/vibe of the song, and to figure out what’s going on with the various tracks. At the same time, I’m usually arranging the tracks in my preferred order. I usually put the bass and drum tracks at the top of my project, then the rhythm tracks next, followed by pads, then lead instruments, and then the vocals at the bottom (background vocals first, and lead vocal at very bottom of the track list). My next step is usually to start creating group channels. These are basically small submix busses that allow me to mix and process groups of tracks together. For example, for a drum kit, there may be 3 tracks for the kick drum (in, out, subkick), 2 tracks for the snare (top, bottom), one or two tracks for each tom, and if the overheads and room mics weren’t recorded on stereo tracks, they will each usually have a left and right channel track. So, I’ll send all the kick tracks to a kick group track, all the snare tracks to a snare group track, all the toms to a combined tom group track, another group track for overheads, one for room mics, and possibly a combined group track for hat and ride (if they had their own tracks). I’ll also set up group tracks for instruments and vocals as well. Electric bass will often have a DI and a Mic track, and I’ll send those to one group track. Similar sounding rhythm guitars will often get sent to a group track. Background vocals get a group track (sometimes more than one if there are different kinds of background vocals that I want to treat differently). Using the group channels keeps me from repeating processing on multiple tracks of the same instrument, and gives me a quick way to adjust levels with a fewer number of faders. I’ll set up a balance of the different kick drum tracks, for example, with the individual track faders, but then the overall kick drum balance in the mix will be done with the kick drum group channel fader. Overall kick drum EQ, compression, or other processing can be done on the group channel track, although I’ll often do a bit of EQ on the individual tracks if they need to be EQ’d differently to fit together better. However, EQ and processing is still done later on. Many times I will then buss several of these group channels to another group channel. The most common example of this is I take all the various drum group channels, and any individual drum tracks that weren’t sent to other groups already, and send all of those to one master drum group channel. 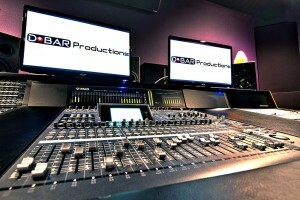 This way I have one fader that controls the overall level of the whole drum kit in the mix. Similarly, I may combine all the various guitar groups to a master guitar group channel, same with vocals, and other instruments. Not only does this work well for making overall adjustments to instruments or vocals, but it gives me an easy way to create “stems” if the client requests them (a stem is a submix of the various main elements of a mix, such as drums, bass, guitars, keys, and vocals). The other thing I’ll be doing while getting my groups set up and the project organized is to clean up any obvious noises, or even just the dead space, from tracks. I prefer people to send me their tracks exactly the way that they want them in the final mix, with all noises cleaned out, and nice clean edits without any clicks or pops. Invariably, though, I’ll end up cleaning up many tracks and fixing bad edits. So, I’m constantly scanning tracks for issues like this before I get really deep into the mix. Once everything is organized and cleaned up, I will have heard the song enough times to have a pretty good idea of the overall direction I want to take for the mix. It’s also about this time that I’ll take a break to rest my ears and to get ready for the more creative side of the process. Sometimes I’ll leave it overnight and start fresh the next day. Now it’s time to get into the meat of the mixing process. Much of how I proceed from here depends on the song. I don’t try to do things in a set way, nor do I have any presets or templates that I use. I really try to take in the song as a whole and let the song itself tell me how it should be mix. In my mind, a mix should enhance the emotion and delivery of the song, but not draw attention to itself. Sure, it’s sometimes nice to have a little bit of “ear candy” in a mix, but only if it’s not distracting from the vibe of the song. I compare a good mix to the way a great soundtrack works for a film. If you take away the soundtrack music from a film, it loses much of its emotional aspect. Conversely, the wrong soundtrack music will distract the film viewer and ruin the emotional impact. That’s how I feel the mixing should be handled for a song; The mix needs to enhance the song without drawing attention away from the song itself. I try to use everything an artist sends me for the mix, as I’m assuming that they have already carefully edited the song to include only what they want. However, many times there is simply too much going on to be able to use all the tracks and still get a great sounding mix. With modern DAW systems, you have virtually unlimited tracks, and many people simple get carried away and continue to add more and more parts to a song simply because they can. However, a great mix starts with a great arrangement!! Learning how to arrange a song properly so the various instrument parts aren’t competing for limited space in the mix, or fighting against the vocals, is absolutely the most important thing you can do as an artist/songwriter! This goes back to the less is more concept I discussed previously. OK… back on topic. After I figure out the emotional direction of the song and what I think the song needs, 90% of the time I like to start working on the rhythm section. Now that I have a good idea of how I want the overall mix to sound, I try to lay down an appropriate foundation with the drums and bass. Often I’ll turn off all the other tracks to just focus on the drums and bass, but I will turn the other tracks on several times during the process just to make sure the decisions I’m making will work with everything else. Once I have the drums and bass working well together, I start adding in other rhythm instruments to complete the rhythm section. Strings and pads will often come next. After that are any lead instruments. I usually then do the vocals last. At this point in the process, I’m still just getting an overall starting point for the mix, with whatever EQ, compression, or other processing I feel is needed for individual tracks or groups. There is a lot of back and forth going on as well. I’m constantly going back and forth as I add more tracks to re-balance and adjust everything so they all work together. A common mistake amongst those getting started with mixing is to solo each track and make it sound great on its own. However, if you do this for every track, making everything sound big and full on its own, you usually end up with a big muddy mess of a mix when you put it all together. This is often due to being easily fooled by louder/brighter. Psychologically, your brain thinks that louder and/or brighter sounds better (to a point). Even if you are boosting low frequency EQ you are still making it louder (the EQ is adding gain to those low frequencies) and so you think it sounds better. It’s only with experience and LOTS of practice that you learn not to get fooled by the louder/brighter sounds better effect. Also, with experience, you start to figure out how various instruments should sound on their own in order to fit nicely into a busy mix. Bass is a great example. If you solo a bass track and start working on the EQ, chances are you get a really nice full low end bass sound that you think sounds great, but that immediately turns to a muddy and undefined mess once you throw it into a busy mix with distorted guitars and drums. One trick you’ll learn is that, for a busy mix, if you want the bass to cut through and be heard, it will need to sound somewhat thin and mid-rangey on its own, without much deep low end. You may even need to add some upper harmonics with distortion or a bass maximizer type plugin in order for it to be heard in a really heavy rock/metal mix. One reason why this works is another psychological effect of the brain. You can actually remove all the fundamental frequencies of the bass and only leave the harmonics, but the brain will fill in that fundamental for you and you will think you are hearing it. That’s the main principal behind those bass maximizer plugins, and also what allows you to feel like you are hearing deep bass even out of tiny speakers. Another technique that goes back to the less is more concept is to not do any more than is needed to make things work together. A common mistake that a lot of people make is to immediately start putting compressors, EQ, or other processing, on almost every track without really listening to see if they need it. Everything you do changes the sound, adding phase shifts and distortion in one way or another, and if you simply start piling on processing on every track without thinking, you can often end up much worse off than when you started. I try to avoid the temptation to automatically add a certain type of processing to a track just because it is what is typically done. If the tracks were recorded really well and played by great musicians with great sounding instruments in a great room, then it’s often best to leave them alone as much as possible. If there is one thing that I do more than anything else, it to use a simple high-pass filter on tracks that don’t need to have a lot of low end. This is simply to make more room for the bass and the kick drum in those lower frequencies, and I only do it for busy mixes where any extra low end from other instruments would muddy up the low end. Somewhere in this process of trying to find my starting point in the mix for the overall sound and balance I will also start adding any digital effects I want to use, such as delays, reverbs, or other special effects. I’ll keep working and tweaking things until I think I have a really good starting sound for the mix, and have all of the effects setup that I’ll be using. Once I have a good starting balance for everything, I then start working through the song section by section and creating the automation. I’ll automate volume levels as well as effects send/return levels (or on/off for certain spot effects). I work on all the instruments first, working on one section of the song at a time until I get a good balance for each section. I’ll also do some general vocal automation to keep the vocals relatively close to where I want them to be, but I usually go back after I’ve done all the other automation throughout the whole song, and really fine tune the vocal automation. In addition to automating levels and effects, I find that I often need to automate things like EQ and compression for different parts of the song. Again, bass is a good example of this. If the verses are very sparse, with lots of open room, I can usually make the bass fuller sounding. However, when the chorus kicks in with a big wall of distorted guitars, then I may need to remove some of the deep lows from the bass and add in some harmonics one way or another. Sometimes this is just with some EQ. Other times I have a bass distortion effect set up on another track that I bring in only during the heavy sections to help the bass cut through the mix a bit more. It won’t sound like a distorted bass when listening to it in the mix, but that extra edge and the harmonics the distortion generates helps it cut through. Many times I’ll do similar things for the drums, and even the vocals. Often the vocals will need some edge and some extra bite to cut through the heavy parts of the song, so I’ll automate the EQ for the vocals and/or add in a vocal edge effects track for those sections. In extreme cases, sometimes it’s easier to set up two different vocal tracks. One track has your settings for the verses, and the other track has your settings for the chorus and other heavy sections. Drums are similar in that I’ll often have what I call a “drum punch” effect set up for the heavier sections of the song. I may take just the kick, snare, and toms, and use effects sends to send them to an effects buss that has some extra attack from the Transient Designer, and possibly even some mild distortion as well. That will get automated into the mix just during the heavy sections. In other cases, I may set up a “drum slam” buss where I again take mostly the kick, snare, and toms, and feed those to a buss with a compressor on it set to extreme compression settings. That will again just be blended in during the heavy sections of a song to give the drums a bit more edge. After all of that, it’s just lots and lots of fine tuning until I think it sounds good. After that, I usually send a reference copy to the artist, who will then make notes for any revisions they want to the mix, and we go back and forth with revisions until they are totally satisfied. The mix doesn’t always end up the way I think it should sound, but part of being a great mixing engineer is not getting too attached to what you did and remembering that it’s the artist’s song/album and ultimately their name on the end product. Sure, I will defend my choices if I think they are better, but the artist always has the final say… and, as I always say myself, there is no right or wrong in this business, so just because I like something better doesn’t mean it is better – it’s just different.